It seems highly unlikely that the EU and China will meet their goal of setting up an EU co-financed "near-zero emissions" coal plant operational in China next year. 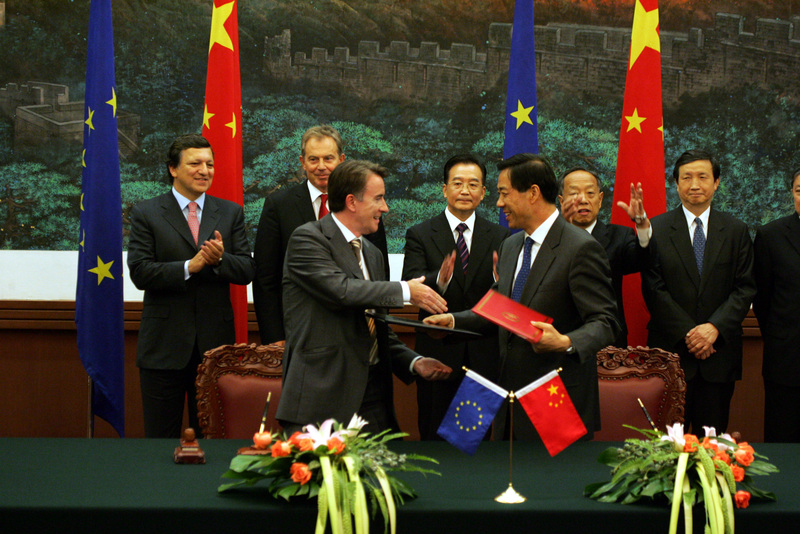 The European Commission, for the first time since EUobserver reported about a long-standing EU-China cooperation project on carbon capture and storage (CCS) in December 2017, has now admitted the partnership has run into challenges. 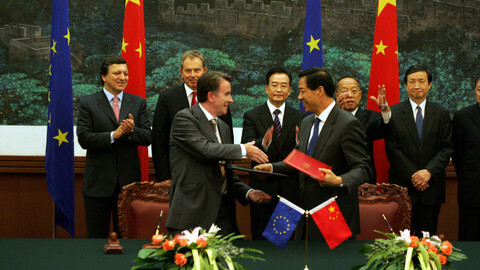 The admission came prior to the EU-China summit in Brussels on Tuesday (9 April). Climate will be discussed at the summit. An EU official said last week: "We want to encourage China to fully implement its commitment under the Paris agreement and Katowice implementation agreements and consider an earlier peak for commitments". China and the EU set up a Partnership on Climate Change at a previous summit, in Beijing way back in September 2005. A commission press release at the time said that the "focus of the partnership is on concrete action". 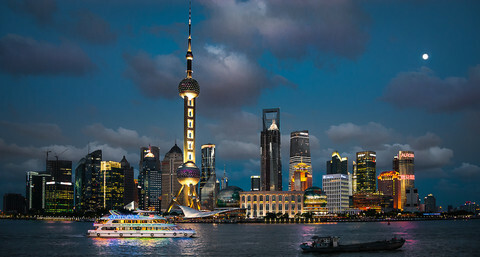 A key goal was to "develop and demonstrate in China and the EU advanced, near-zero emissions coal technology through carbon capture and storage" by 2020. 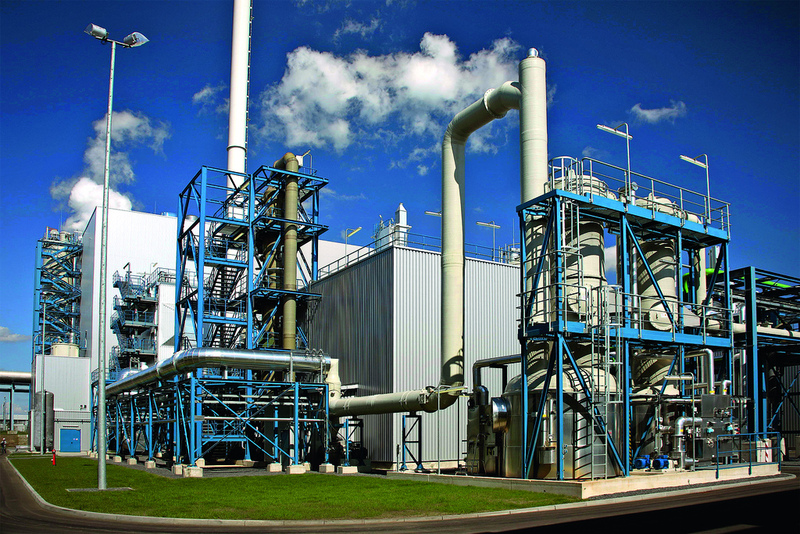 CCS is the method by which carbon dioxide (CO2) emissions are prevented from being released into the atmosphere, but instead liquefied and stored underground. In 2017, this website published an investigation into the cooperation project, based partly on newly-uncovered internal documents. The project faced delays, but as late as 2016 the most senior EU civil servant in charge of climate action wanted to continue. 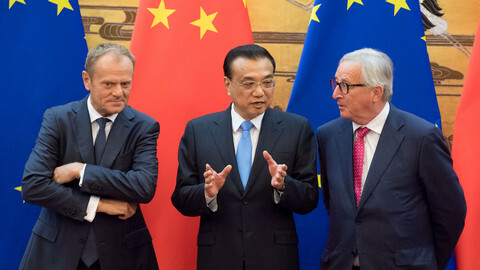 "If the EU does not go ahead with its long-promised support towards CCS demonstration in China, there is a significant risk that the EU's commitment to CCS as a technology and to climate action will be severely criticised by stakeholders and the public," director-general Jos Delbeke wrote in an internal note dated 29 February 2016. However, Chinese companies went ahead to finance a feasibility study without EU funding, leading the commission to argue that the planned EU contribution of €7m was no longer possible. "We made it clear that the EU cannot double-finance feasibility studies done by the firms," a commission civil servant wrote in July 2017. 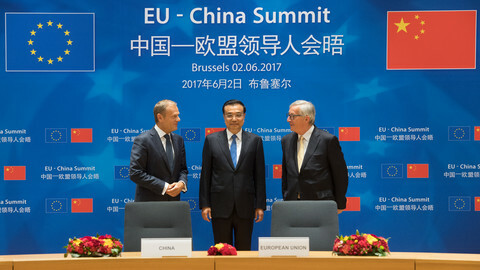 The two sides agreed that instead of co-funding a CCS-installation in China, the EU would offer China "a policy and expert dialogue". Since that report, EUobserver has asked the European Commission several times to comment on what has happened since. Last month, for the first time, the commission was able to comment on-the-record. "The EU-China partnership on climate change, agreed in 2005, strengthened practical cooperation on the development, deployment and transfer of clean fossil fuels technologies, to improve energy efficiency and to achieve a low carbon economy," the commission said. "Under the project, the pre- and feasibility studies were completed. Due to a combination of factors - delays in the implementation of CCUS projects in the EU, data-access and co-financing in China - the next phase of the project has not been launched," the commission said. "Despite these challenges, the commission remains committed to an expert dialogue with China on CCUS, as expressed in the 2018 EU-China Leaders' Statement on Climate Change and Clean Energy," it concluded, referring to a new political declaration adopted last year. A lobbying-and-research organisation, the Global CCS Institute, told EUobserver that there were nine large-scale CCS facilities in China "in different stages of advancement". According to an overview the institute sent, only one facility was currently in operation. In north-east China, CO2 is being injected in an oil field in a method known as enhanced oil recovery. But China's four fossil-based power plants with CCS are all still in early development phase. They are not expected to be commercially operating until somewhere in the 2020s. Nevertheless, a spokeswoman for the Global CCS Institute said there were "many valuable opportunities" for the EU and China to learn from each other. "The EU and China have different pasts and experiences related to CCS but both have recognised the importance of the technology to mitigating emissions and achieving climate targets," she said. Meanwhile, the EU also has not managed to get CCS projects up and running. 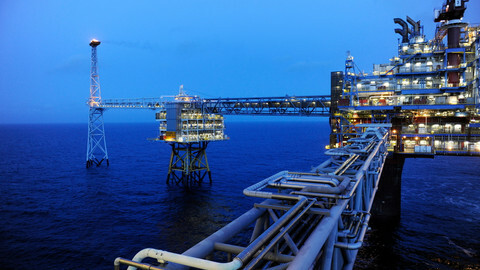 Non-EU member Norway is the only European country where CCS is used commercially, although some new projects have recently been announced in Ireland, the Netherlands, the UK. The port of Rotterdam is planning to set up a CCS infrastructure that companies could hook up onto, and asked for companies to announce their interest by 1 April. "Various companies have registered and have expressed more than sufficient interest to enable the initiators to continue with the follow-up studies for the project," the port said in a statement on Thursday (4 April). A spokesman told EUobserver that he was not able to say how many companies had done so, because of non-disclosure agreements. The decision whether to continue with the Rotterdam project will be made in 2020 at the earliest. Nevertheless, the EU commission still believes CCS is required for Europe to reach carbon neutrality. Last Tuesday (2 April), the commission's second-in-command, Dutch vice-president Frans Timmermans, told an audience of Dutch students that he thought their country should be a frontrunner in developing CCS technologies. He specifically mentioned Chinese coal-fired power plants, which are emitting significant levels of CO2 emissions, as potential customers for such technology. "Imagine that Dutch companies would be able to market that technology," said Timmermans. "[The Netherlands] would be a frontrunner and deliver a huge contribution to tackling CO2 emissions," he noted. However, he made no mention of the commitments already made 14 years ago. A long-standing cooperation between the EU and China on carbon capture and storage has fallen off the political agenda – with the European Commission not having any comment available when asked for an update. An EU-China project on CO2 storage, dating back to 2005, has delivered few results, raising questions for cooperation in 2018. 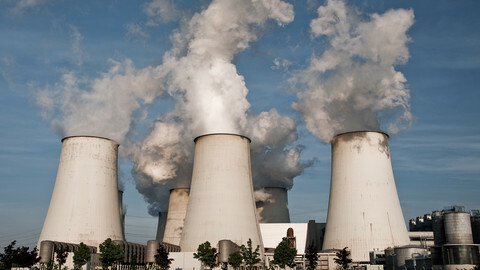 The EU has spent at least €587 million so far on carbon capture and storage, and was willing to spend millions more. However, after a decade not a single power plant in the EU is currently using the technology. The Innovation Fund will be deployed to give an incentive to companies to develop new energy technologies, which should help the EU reach its long-term climate goals. 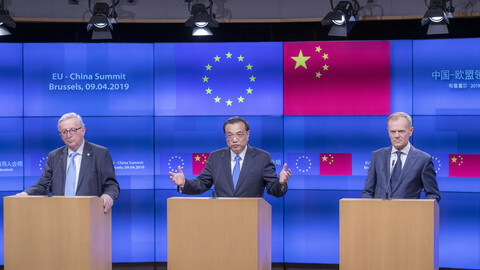 In a last-minute push, EU and Chinese officials agree on a joint statement at their summit in Brussels addressing some of the EU's longstanding grievances. Trump's "America First" policy seemed to have pushed the two closer together.